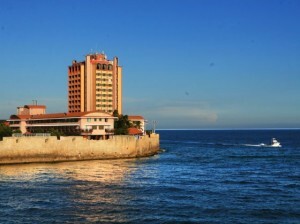 WILLEMSTAD - The Plaza Hotel in Punda will be auctioned for the third time. Since May last year it has been empty, the hotel was declared bankrupt two months later. The first two auctions did not go well, because buyers ultimately could not come up with the funds to acquire the hotel. On 8 November there will be again a new attempt. Those that are interested can start bidding at 14 million guilders.